Another year, another Call of Duty (CoD) game, this series has come to define the chartbuster in the video game industry. 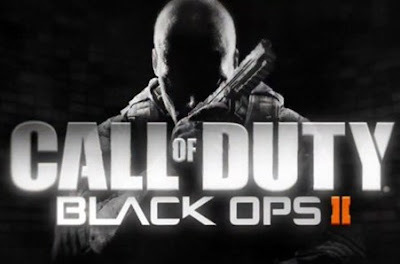 The newest entry in the COD game series, COD Black Ops 2 (BO2) can be divided into 3 segments which are campaign, zombies and multiplayer. The single player edition of COD Black Ops 2 is a novel experience compared to COD Black Ops 1. What is distinctive is that the player executes missions both in earlier times and in what the game regards as present. There are also two kinds of missions in single player, Strike force and campaign levels. The strike force missions let the gamer to control a number of units on the combat field from soldiers to drones. You can control the general movement of the units from the strategic overview and take charge of individual units and manage them. A new aspect of the campaign levels is episodic decisions that the gamer must make which will change the way the game finishes and the way it plays in future levels. This creates the campaign experience distinctive to BO1. BO 2 also advances on this game mode from the BO 1. There are now 3 dissimilar ways to play and basically 4 maps. TranZit is the game mode where you have to work out puzzles and activate the power etc. what sets it apart from BO 1 is the enormous map and the bus. Gamers have to travel on the bus to various locations in order to activate the power, find components to improve the bus and make other gadgets, get perks, and hit the random box. There are also 2 other game modes that can be played at the 3 different ends. Grief has 2 groups of 4 that destroy zombies and collaborate at first but the intention is to live longer than the other group and complete a round after the whole other group has destroyed. Survival is precisely what the heading says survive rounds of zombies at one of the areas. Depending on which area you pick will affect which perks are accessible, if there is a random box, and if there is pack a punch. The multiplayer looks much similar to BO 1, other than new armaments and killstreaks. One big reason I like BO 2 over BO 1 is it's more focused storytelling. The storyline is a bit loose in the beginning as a plot with BO 1 characters Jason, Frank and Alex during the eighties is intercutted with the futuristic 2025 clash relating Mason's son David. But when these different threads collaborate the story really hits it's pace. If you like a bit more of a challenge with some fun gameplay, BO 2 delivers over BO 1.